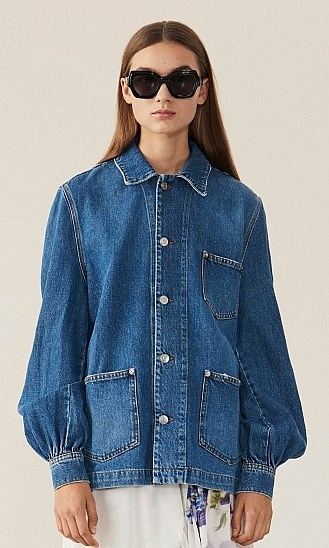 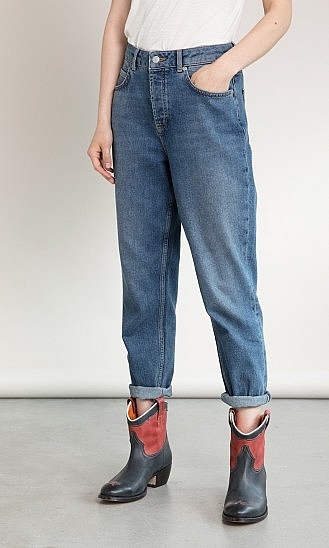 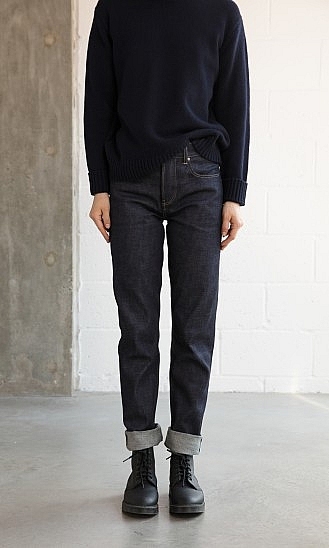 Deep-indigo denims, faded summer jeans with wide leg. 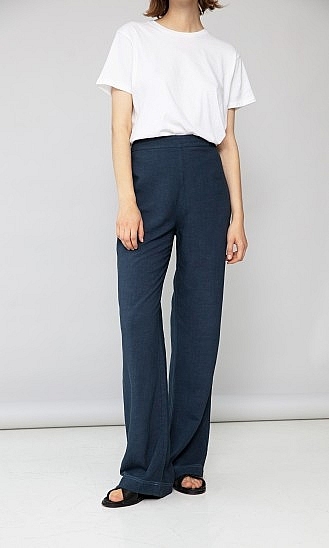 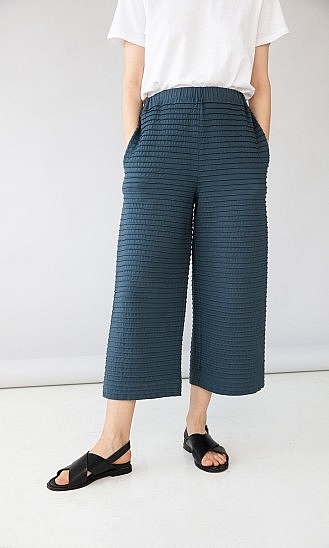 Cropped summer trousers. 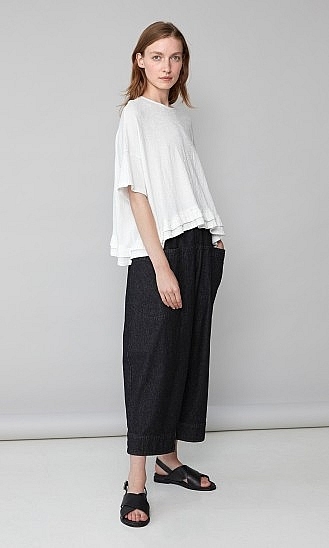 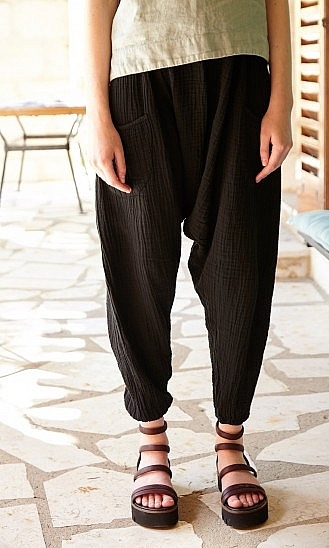 Sarouel-style pants for warm summer days. 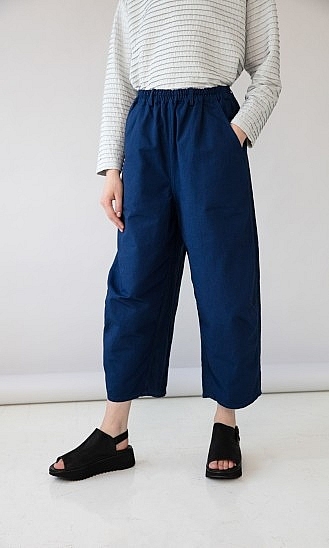 Jumpsuits and overalls in cotton and linen.